Corporate attorney and former House of Delegates legislative aide Ibrahim Moiz has announced a primary challenge to Supervisor Koran T. Saines (D-Sterling). 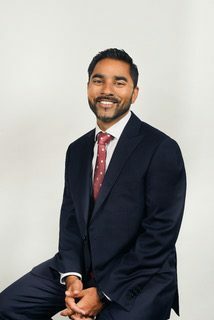 Moiz, a native of Flint, MI, moved to Loudoun 2008 after graduating law school at Howard University, and is a partner at the NOVA Business Law Group. In 2009, he served as a legislative aide to then-Del. David E. Poisson (D-32). He is a member of the Virginia Real Estate Board and of the county’s Fiscal Impact Committee, to which Saines nominated him in 2016. In a release announcing the challenge, Moiz pointed to ongoing work on the new comprehensive plan, which calls for more development. Could part of the reason our government is such a mess be that there is a abundance of attorneys elected? Just what Loudoun needs: Another out of state corporate cog who thinks they’re the smartest person in the room. Why not run for city council back in Flint? God knows they could use some help. Supervisor Saines has just learned a hard lesson in local politics — never appoint a future opponent to a commission or anything else. I guess Saines and Moiz must have had a falling out, or, Moiz led Saines to believe he would be a loyal supporter if he got the fiscal impact committee slot, and is now gunning for his job. Moiz has more campaign cash, too. Never would have suspected there’d be a Democratic primary contest for this position.